A Mass offered every Saturday at the Shrine (not a public Mass). Twelve Masses offered on the feasts of the Blessed Virgin. 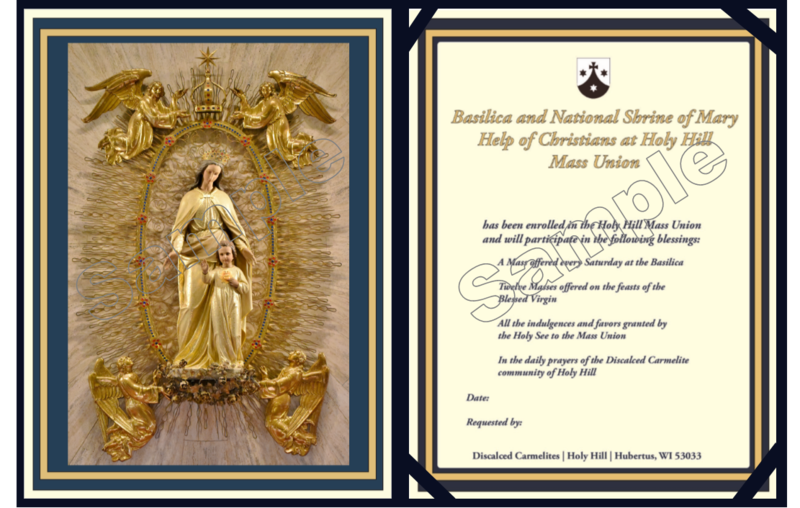 All the indulgences and favors granted by the Holy See to the Mass Union. The daily prayers of the Discalced Carmelite Friars of Holy Hill. Upon completion, you will receive a confirmation email stating that your Mass Union order request was received.